Another in my series of rather geek-like articles on Civil War artillery. The American Civil War was a transitional time for artillery technology, organization and tactics. 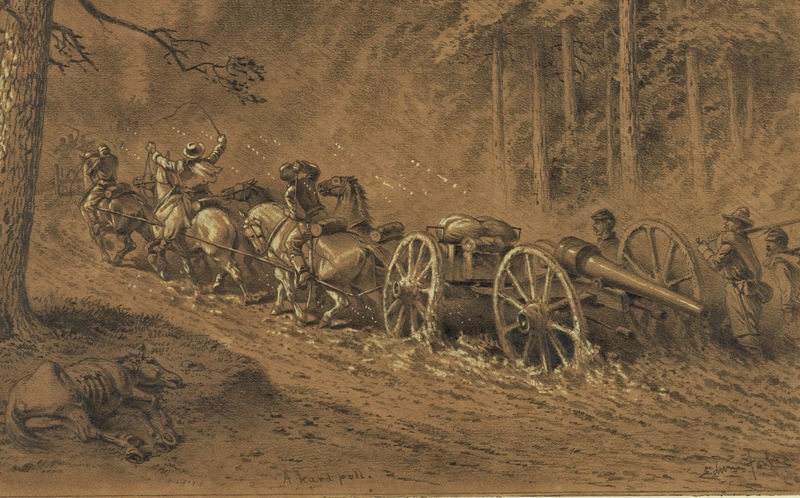 The organization of the artillery service of the Army of the Potomac remained as it was up until the Overland or Wilderness Campaign, although “Corps brigades were increased to eight or nine batteries.” However, “having created a sound artillery organization and proven it at Gettysburg, the Union would have little immediate use for it”  as the changing conditions of war in the Wilderness changed how Grant and Meade organized the artillery. 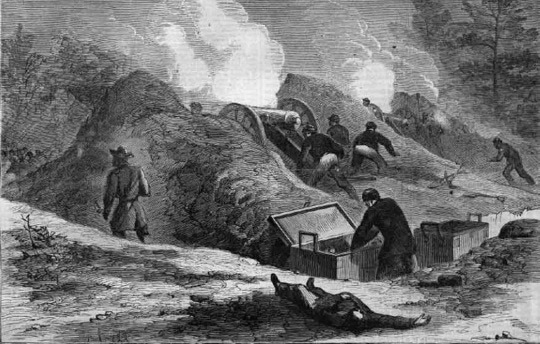 During the Wilderness Campaign the Confederate artillery suffered under similar conditions to Grant’s armies. Porter Alexander noted that when his artillery arrived that Lee, “directed me to send back all the artillery with our column to Parker’s Store, as there was no possibility of using it in the woods where we would be fighting, & it would be in the way.”  Where they were employed on the defensive the Confederate guns gave good account of themselves. Where they were not deployed attacking Union forces found their task easier, as when Winfield Scott Hancock’s massed attack at Spotsylvania succeeded, However, when the Confederates were able to deploy their artillery Union losses could be dreadful. This was the case at Cold Harbor where Grant ordered a frontal assault on well prepared Confederate defenders who had their artillery in positions where it had advancing Union forces in a crossfire.